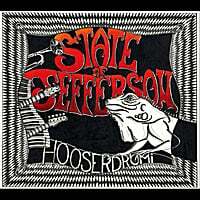 State of Jefferson is Oregon's premier jam band and a truly great live music experience. The group has been performing for over ten years sharing their music with the masses. The SOJ sound is organic jam based, americana and world music rhythms; mixed with a multi-instrumental blend of horns, strings, good vibes, and much more. The bands unique and original sound is for music fans of all ages. Content copyright . STATEOFJEFFERSON.ORG. All rights reserved.